On May 28, 2014, Phil Block presented his showcase Great Lakes lighthouse slide show, Lights of the Lakes, at St. Francis (WI) Library. The audience was very interested in lighthouses and maritime history, making for a great interchange between the program participants and myself. On May 22, 2014 Great Lakes lighthouse photographer Phillip L. Block presented his showcase presentation, Lights of the Lakes, at Lasata Crossings in Cedarburg, WI. 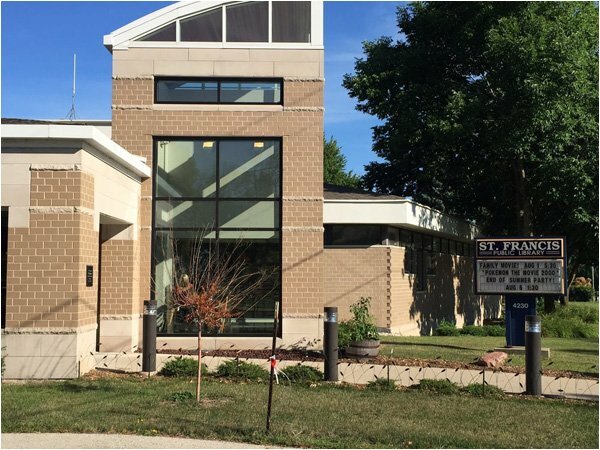 Lights of the Lakes Coming to St. Francis Library! Great Lakes lighthouse historian and photographer Phillip L. Block presents his showcase presentation Lights of the Lakes in a free, public performance. Join us and tell your friends! Join us at the St. Francis, WI Library for this free, public presentation.